Tom Lee, often regarded as Wall Street’s foremost Bitcoin permabull, recently made an appearance on CNBC “Fast Money” to outline why Bitcoin could still see further upside. On Monday afternoon, Tom Lee, the Head of Research at Fundstrat Global Advisors, highlighted the importance of Bitcoin’s dominance figure for CNBC viewers. The analyst, who has become well-known for his cryptocurrency-related insight, brought attention to the Bitcoin’s historical command over the industry, with the asset holding an 80% (or more) market share value for the better part of ten years. The Fundstrat executive went on to note that altcoins have since seen positive price action, moving Bitcoin’s dominance to an all-time low at 37% in January as a direct result of ICOs and overly-ambitious projects. 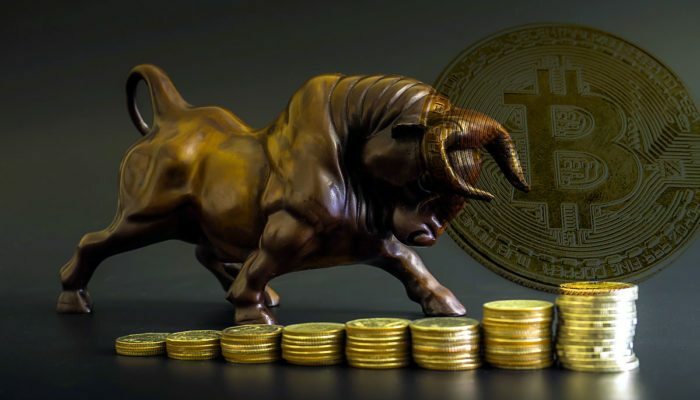 This Bitcoin-centric bull sentiment has become a common sight in the eyes of investors, with industry leaders like Galaxy Digital’s Mike Novogratz and Peter Smith of Blockchain both indicating that they see Bitcoin outperforming the market in the near future. Whether this sentiment is a result of the positive news surrounding Bitcoin-related products, or institutional affection specifically aimed at this asset, still remains to be seen. Closing off his segment on the show, Tom Lee added that the cryptocurrency market is still in its early stages, likening this nascent industry to the internet in 1994. If cryptocurrencies reach internet-levels of adoption, as Lee fully expects, cryptocurrency wallets could be used by up to four billion people as this technology hits the mainstream. Oddly enough, Lee made no mention of his controversial $25,000 price prediction during this Fast Money episode, so it remains to be seen if this prediction is still on his radar.